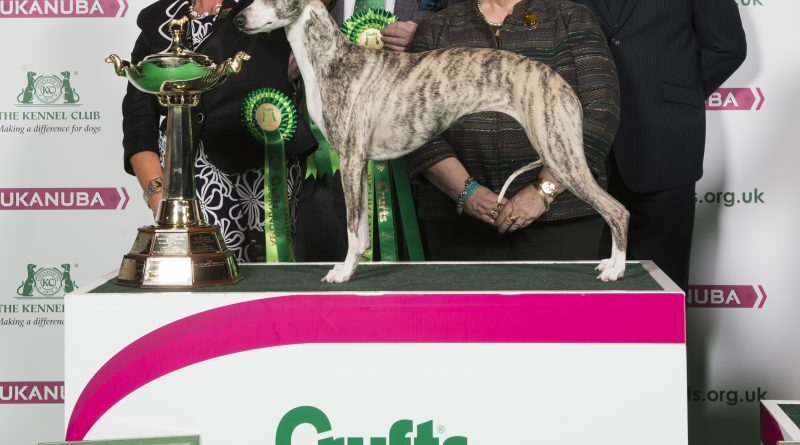 Tease, a Whippet from Edinburgh won the Hound Group title at Crufts 2018 today (Friday 9th March), qualifying her for a place in the Best in Show final on Sunday. Tease (whose official Kennel Club name is CH Collooney Tartan Tease-JW) aged two and a half, will return to the Genting Arena at the NEC in Birmingham for a place at the world’s greatest dog show, Crufts, with her owner, Yvette Short. Proud owner Yvette said: “I am so overwhelmed. The crowd made it all so special, they seemed to like the dog and I just hoped the judge would as well. Caroline Kisko, Kennel Club Secretary, said: “We are delighted to see Tease chosen as the Hound Group winner today. Tease and Yvette should be very proud of reaching the prestigious Best in Show final – it’s an incredible achievement and one that not many get to experience in their lifetime. “Crufts celebrates healthy, happy dogs and recognises the special and unique bond between dogs and their owners. Tease is such an excellent dog that clearly has a great relationship with her owner, and is at home in the show ring. Reserve in the group went to the Afghan Hound, Sup Ch Alaqadar Rigoletto. 3rd was the Wire Haired Dachshund, while 4th was the Irish Wolfhound.